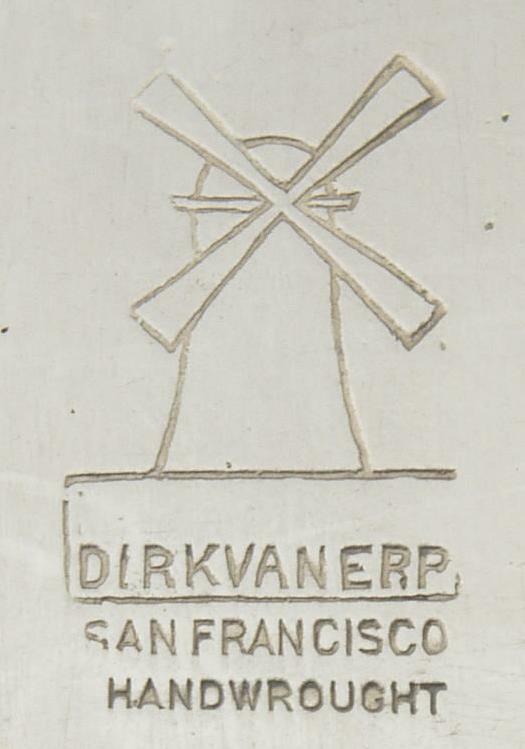 original Dirk Van Erp mark. 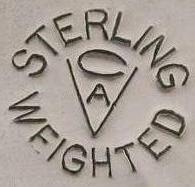 Maker of sterling holloware and novelties. Daniel Van Voorhis and Garret Schenck. 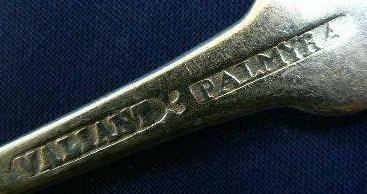 John T. Vansant & Co.
manufacturing portion of the business was sold to Simons, Bro. & Co.
John T. Vansant & Co. 1881-1884. John T. Vansant Mfg. Co. 1884-1886. 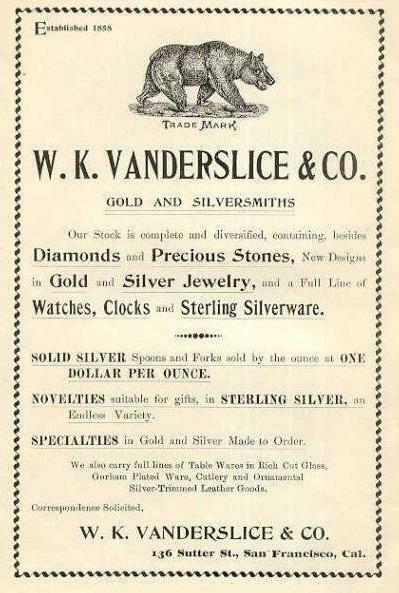 Vansant Silver Co., Ltd. 1886-1892. James S. Vancourt / J.S. 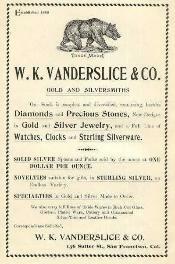 Vancourt & Co.
Was in partnership with William L. Coles in the firm of Coles & Vancourt 1848-1852. A partnership between Daniel Van Voorhis and William Coley. Van Voorhis, Bayley, Coley & Cox in 1785. Van Voorhis & Coley with William Coley 1785-1787. Van Voorhis & Schanck with Garret Schanck 1791-1793. Albert B. Van Cott and John Polhamus. Charles and Joseph C. Vanhouten.